I just wanted to take a moment to wish you all Happy New Year. 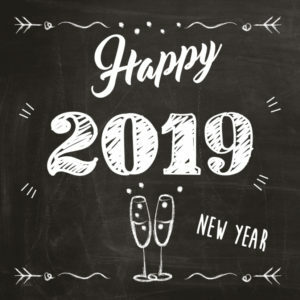 You made it to 2019! Be Present – you will only have this life ONCE… cherish it and be actively involved in living it. Thank you for joining me on my new adventure when I began in 2018 and thank you for trusting, loving and encouraging me in my growth. I have an amazing community of friends and I am ever GRATEFUL for all of you!